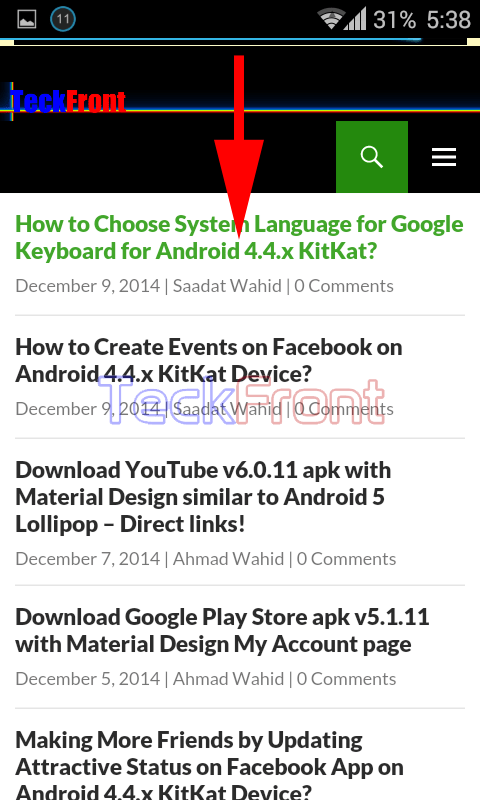 How to Examine Destination of Link on Browser at Android 4.4.x KitKat? Some people feel annoyed to visit the site of any post on the search engine and find that the site is not of a good standard. It not only wastes your time but also causes the increase in the wastage of precious Internet time. In addition, as the browser of the Android 4.4.x KitKat does not display the URL bar, Android has introduced a feature which allows you to search the link of the post. 1: Open any page with many articles on it. But, above all, the URL of the post will be displayed in Sky Blue color. So, you may decide to do the required action on any post. Newer How to Access History, Quickly, on Browser of Android 4.4.x KitKat? Older How to Choose System Language for Google Keyboard for Android 4.4.x KitKat?